The BoBunny Blog: NEW Double Dots! This post is very exciting, we're showing off our NEW style of Vintage Double Dots that are to DIE for featuring 20 of our most popular colors. And on top of that we have 4 NEW double dot COLORS to add to the mix. Enjoy! Here are the 4 new colors, don't you just love them? Ok guys, I just know you'd all like to win a stash of Double Dots, so make sure to leave a comment here on the blog for your chance to WIN! Also, make sure you've gone through the last few posts and left comments there. We'll announce the winners Tuesday Jan. 24th so check back to see if you won! Love the distressing on these! The dark blue is so pretty and I love the new colors, so bright and cheery! Especially love the new Khaki! Oooh, these are gorgeous!I liked the double dots before but I LOVE these! These double dots are going to be just perfect for complimenting all the great Bo Bunny lines! Love the new colors too! Oh WOW! I adore the bright colors at the bottom of the post but the top ones with the monochromatic tone on tones is FABULOUS! LOVE them! Dot paper is so useful. Will love adding these to my stash. The colors and distressing is especially useful for my Heritage pages. Love the double dots for coordinating with the other BoBunny lines! Oh I love these papers all of them I am a huge fan of dots !! LOVE these colors! These would be wonderful to scrap with! Just beautiful...love the colors and the awesome distressing! Oh this is fabulous! love the colors and the texture look! Such beautiful colours and I just love your paper, I have all your single dots colours and love to work sith them. It cuts so well in my cricut. Thanks for a chance to win these amazing new additions to Bo Bunny collection. A gifl can never have too much double dots! Love love!!! WOW! I love the distressing! The colors are so vibrant too! So so gorgeous! Oh!!! those colors are exquisite!! I love them!!! they match all your papers. Such yumminess!!!! I want all of them! They're fantastic!!! I absolutely need that!!! Oh, I just love these! The colors are fabulous! I love Double Dots!!! They make such perfect accents! Your double dots are what brought me to BoBunny, so I am THRILLED to see that you're continuing them!! Thank you - they are a staple for me!! I love these, and the new standard colors are perfect as well! Thanks for giving us a chance to win! Fabulous colors. They will make a great addition to my paper stash. Already thinking about what projects to use them on. I love the four new colors! Ahhhhhhh! Pumpkin is my favorite! So gorgeous I can't wait to get it. Really phenomenal color choices. All these new releases are stunning. ООООо, very very beautiful!!!! This paper is my dream! these are AMAZING!!!!! Absolutely WONDERFUL!!!! the vintage double dots are just so PERFECT!!! I love dotty papers and these are all non stop gorgeous!! OMG!! Loving these vintagey earthtones! Amazing colors! love...; love ....love the new colours!!! Love the Vintage, but the Lemonade is my absolute favorite ever! What a awesome colours !! Dots!! I love Dots!! Can't work without them!! The dark blue is just amazing. Wow! I just love these!! !^_^ It will surely be a popular one, the new colors are awesome! Love it! These new papers just make me dotty!!! Would be absolutely over the moon to get some of these! I love double dots. I think it's just soooo versitile. And the colors. WOW! So many to chose from--especially love khaki. Gorgeous papers! I love that Khaki color! I love the double dots! They are just so versatile! I love how versatile these are and can be combined with almost any pattern paper. I could several pieces of each one of those vintage papers. Loving the new papers. Would love to win. Another great set of Dots. Totally love the vintage style on these -- they're gorgeous! I love the distressing on the Vintage Double Dot paper! The coordinating color paint spatters look awesome, too. Very yummy! DROOLING!!!! Just love each of these!!! These are just the somEthing extra to make layouts shine!! Okay, you know it's good if your fingers itch. I can't wait to cut into this. Love these colors! Please sell these in a multi-pack! These are my absolute favorite items of your new releases!! I'm so excited! These are fabulous. I found some of the black dots at my lss awhile ago, but they weren't with the other Bo Bunny products and I didn't know they were available. When I found them, I stocked up! I can't wait to add these to my stash! I must find some of the Kakhi and browns. Just love them. I just need htem all= five of each! Fan-freaking-tastic! I love all of those!!! Awesome as always! Can't wait to shop & add company to my "Bo Bunnies.". Love everything! Great additional colors. I love them all. beautiful. Love the teal, green and blues. Woow... Lovely colors! Wonderful double dots! I love this pattern. So versatile. Thanks! OH! LOVE the addition of the grungy double dot....fantabulous! Love these and the new colors! omgosh love love love em ALL!!!! ooh-ah, these all look so yummy! Love the distressing on the new dot paper and how they will go perfectly with the new collections!!! Great colors! And new one too! Love the distressed pp's specially the black one. These are so versatile! love the bold colors and the distressing! Wow so beautiful colors in these collections !!! I love th new colors!! Dots, dots OH MY!!! Love the vintage look! The new colors are a MUST have!!! I love the new lemonade and limeade double dots! Yummy! Just beautiful! Who wouldn't love to win these? Double Dot is always my favourite cardstock! They come in so many gorgeous colours and the new vintage papers are right up in my alley too! OMGosh, so droooooling over these! These are AMAZING!!! These have just become my new favorite! Goodbye Bazzill Swiss Dots, Hello Bo Bunny! Love love love the distressing on these! Bravo! I love the new colors and the new Vintage Double Dots. So many possibilities. I love the new Khaki and the pumpkin! Soooo in love with the newbies. What's not to like! Wow! I love every little dot!!!! i love the vintage looks and the colors are amazing. love all your new collections! love so very pretty and who does not love dots. I tried to pick my favorite. I couln't! They are all great. I can envision many cards and pages made with DOTS! Love these. THese are the most perfect basic papers for any and all projects!! You could pair them with ANYTHING!! I would LOVE LOVE LOVE to win these!!! Oh these are a must have! I know many who are going to go 'dotty' over these papers!!! I love them all. Its so hard to get a "plainer" blue paper so they are top of my list. Great colors and I like the distresed look. Love the colors! So versatile! Love the paper and colors - could do so much with them. Way Cool!!! Love the new colors.These will be great with the others lines. The new colors are amazing and I LOVE all the dots!! I would get so much use out of these papers. I like how they have a tiny bit of pattern but not enough to compete with more complicated prints. I'm a sucker for dots - I love this line and the great selection of colors! I luv me some dots! ABSOLUTELY LOVE the new new vintage dots and the new colors!!! Loving all of them! I think the khaki is going to be one of my newest must haves!! Wow! I just love the new Vintage Double Dot! Thanks for the chance to win! They are really pretty-all of them!! I loved the older dots but these are fabulous. Thanks for the chance to win! Oh, I love those papers. The double dots are a must have for me. Can't relly scrap without them. And so many great new colors. Oh I love my double dots. They add so much to my layouts and cards. Love the new dark blue. Also, would love to win some. Thanks for the chance to win. I am loving these new double dots papers. The colors are amazing and I love the new vintage look. Thanks for the chance to win. I absolutely *love* your double dots - always have! But the new vintage look is totally awesome! Double dots have long been my fave go to paper, now the vintage look is even better! Thank you for this awesome peek today. I love the double dots paper. It doesn't have too much pattern that would overwhelm my photos. these are right up my shabby chic alley. i NEED them! thanks for more great products Bo Bunny! Love Double Dots!! The vintage ones are gorgeous!! Wonderful idea to make vintage DD paper! Beautiful. I love the richness in color and the distress vintage look. Those 4 new colors are so happy and summery. I would love to win them all. Gorgeous! I love all the Double Dots! Love double dots! Going dotty over this line.....sorry, just had to say that! Love it, you can use this with everything! So cool the distressing on them. Would be fun to play with. wow - the vintage dots are fabulous!! gorgeous papers. I'd love to have two of all of them. lol. I just love all the dots!! Wow, these are awesome. I just love the colors and 4 new one, they are right up my way. These are really a must have papers. Just have to figure where to buy them in Norway. Thanks for the chance to win! (And even if I don't win, I'll be in line to buy some new Double Dots! Love the dots!! They will look so perfect when combined with the new lines!! (or with any paper for that matter!! Bo Bunny you are blowing me away! Oh I just love love love dots. They are my favorite and these papers are so great. oh, awesome, beautiful paper. Feeling intense about this Double Dot release - gottoohave them all! LOVE the double dots...just gorgeous colors! These would be amazing with any collection! I love the colors and the texture, fabulous!!! Love this Double Dot paper. All of the colors are amazing! 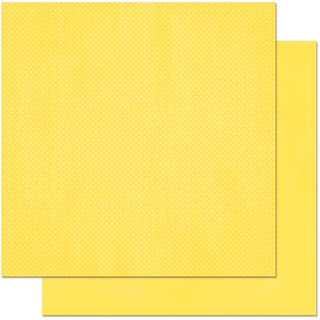 I love your other dot paper and these are another great option! Would love to get my hands on a stash of these! Dots, dots and more dots - one of my favorite background papers to use ! The new colors are very exciting too ! I think pumpkin is my fav! I absolutely LOVE these papers! Colorful with just the right amount of shabby!! I really like the new grung-y look of the double dots. It'll be a lot of fun to work with. Great colors. So easy to use dots in layouts and cards. Thanks for the chance. Can't wait to get ta supply of these for my craft stash! Love the distress look of these double dots!! Awesome!! Love the new distressed double dot paper. Can't wait to use them, they will go perfect with my kit club. Thank you!! I thought I loved double dots before, but now, you've just up'd it to another level! The aqua and lime is one of my fave combo's but the orange is also calling my name - well done, BB! Luv polkadots... so versatile. These colours are beautiful! Wow!! So gorgeous! Love the shading on these colors...they would be awesome to scrap with! Another gotta have on my list! I'm in love with the new Vintage Double Dots. Of the new colors I love Khaki the best. Double Dots, double dots, I love Double Dots. In my opinion, a gal can NEVER have enough double dots in her stash....and this line is fabulous! Love these new vintage double dots!! Would love, love, LOVE to add these to my stash!! These are just amazing!! Love them, love them! Thanks for doing this distressed look....my fave!! Oh WOW, I so love the NEW Double Dot papers. Soooooo nice. I love the distressing on these! Awesome! I would love to win these dots -- they are my absolute favorites. Wow!! Thank you BoBunny staff for the amazing collections and beautiful papers!!! Bo Bunny is my favorite favorite FAVORITE!!! I have to buy doubles so I can use them. I can't wait to get the collections and the new dots too!!! I will take one, no 3 in every color! Almost every project I make uses double dots! Would love to win some! I really like these - they are soft, worn, slightly distressed. The blues, the beautiful pink... what is not to like? I still have my fingers crossed! Just fabulous! And new colours too, whippeeeee! I love the new Vintage Double Dots...gorgeous! Thanks for the chance to win! These papers have such vibrant colors and would go with all your great collections! Just beautiful with a great texture look to them! The neutrals are my favorite but the limeade and the pumpkin are tempting. double dots are amazing. love creating with them. The double dots go so good with the rest of the lines Pick me Please Please Please I'm not above begging! Love the new double dot colors and the new style! I seem to always reach for double dots on almost every layout so winning some would be fabulous!! Oh my shattered nerves!! I am now forced to load up on my stash - these colors are amazing. Double dot is my "go to" background! I love, love, love the new dots! Such beautiful papers! I love the way you distress the outer edges of the pages and make the middle almost glow! Gorgeous! Love this idea! No more boring cardstock! You take all the work out o distressing-no more dirty finger tips either-yay!